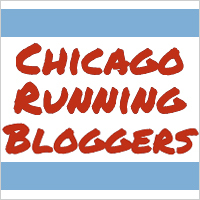 After weeks of grinding out miles on the treadmill, in the dark, and on the perpetually windy Lakefront Trail, I had the chance to see what all this hard work has done for me at my seventh consecutive Bank of America Shamrock Shuffle on Sunday. Given my upcoming move to the suburbs, I expect that this will be my last Shamrock Shuffle for quite some time–not because there’s a rule against suburbanites running the Shuffle, but because I have some serious doubts about my interest in hauling myself into the city for any race shorter than 10 miles that doesn’t offer day-of packet pickup once I move–so I hoped that the day would shape up well for me. I went to packet pick-up on Friday. It was about the same size as last year, which is a significantly scaled-down event from the expos of years past–though the 8K itself is significantly scaled down from races of years past (20,899 finishers this year compared to 33,273 when I first ran in 2013), so that makes sense. I ended up leaving packet pick-up in a great mood because I found (and purchased) a SPIbelt while I was there. It occurred to me on my 12 miler the weekend before the Shuffle that a SPIbelt could solve a lot of my carrying-gear-while-running issues (why it took me nearly eight full years of running to realize this is beyond me) and I hoped I’d be able to find one at the Shuffle expo to avoid needing to buy it online and waiting for it to ship. Lo and behold, Lively Athletics had a booth selling almost exclusively SPIbelts and related accessories, so I got everything I needed, didn’t have to pay anyone to mail it to me, AND supported a local company in the process. Win. I love the shirt and the hat this year! Normally I get rid of the extra swag that comes along with the Shamrock Shuffle, but I plan to keep the hat this time around. The forecast had threatened rain during the race all week, but come Sunday morning, it was just overcast. It was also in the low 40s, which is the warmest Shuffle I remember having since my first race in 2013. I generally wear tights for the Shuffle, but it was warm enough Sunday morning that I thought I could get away with crops and a light jacket (I could. In fact, the jacket was probably too much, but it’s the only green thing I own for running, so I wore it anyway). It was nice to not freeze in the corrals for a change! I didn’t have much in the way of hopes and dreams for the race this year. I thought it’d be nice to PR, but I also didn’t know if that was realistic. I’ve been training for a fast 21K, not a fast 8K, and my rotten 12 miler from the week before still stung. I was in corral C, so I expected to run somewhere near my usual Shuffle pace, given that I’d be surrounded by runners holding that usual pace. I came through the first mile in 8:25 (manually lapped, because I know better than to trust my Garmin on downtown races). My previous PR pace was 8:21, which seemed like a good sign. I tend to underestimate just how long an 8K can feel, so I didn’t want to push it too much harder for fear of blowing up at the end like I did last year. I was quite surprised, then, when I hit mile two at what felt like the same level of effort in 7:57. I started feeling like I was working during the last 1.97 miles, but it was nothing compared to how miserable I felt during that same stretch last year. I was breathing heavier, but I wasn’t panting. My legs hurt, but they weren’t threatening to spontaneously combust. I powered up Mt. Roosevelt and rode down Columbus to cross the finish line in 40:24, for a monster 1:08 PR. I was floored. I thought I stood a decent chance of PRing when I came through the first mile in 8:25, but I really was just shooting for anything under 41:30. It never occurred to me that I could possibly finish a minute faster than that. I averaged an 8:08 pace. I ran my most recent 5K at an 8:03 pace! I wanted to PR at Shamrock mostly as insurance against my half marathon in two weeks: if I don’t break 2:00 or don’t PR there, at least all of this training wouldn’t have been for nothing. Instead, I walked away from Shamrock with a renewed sense of confidence that not only has all of this training not been for nothing, it’s working. The last time I had a gigantic PR at the Shuffle was also at the end of training my tail off for the Chi Town Half Marathon, so…who knows. I’m the first person to give all of the credit or place all of the blame for my race outcomes on the weather, and the weather was as perfect as you could hope for on Sunday: overcast, low 40s, no wind. I could get something completely different in two weeks at Chi Town, and it could make a big difference in how things shake out. But regardless of what happens there, I now have clear proof that the work I put in this winter has made me faster, and that’s a really rewarding feeling. OMG! Amazing job and PR! Yes, your training is TOTALLY paying off. And the weather helped, but you have it in you to do this with a bit of cold and wind. I am excited for your half! I like the shirt and hat! I would totally wear those! And I like your logic about why you think you won’t do city races once you move. Ha. That is why I haven’t done this one. Packet pickup, logistics, etc. etc. I wonder if they will keep the 1 miler. That’s a fun option to have! I read Pete’s recap of the mile, and he said they still plan to have it next year, so I guess we’ll see! I was interested until I saw it was $35. Although the course was kind of bonkers too, so I’m ultimately glad I didn’t pay $35 to run a mile up and down bridges and around hairpin turns. It’s a cool concept, though, especially if an 8K seems like too much. Congrats on the PR! What a great confidence boost for the rest of your half training!